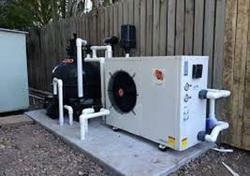 Providing you the best range of heat pumps and hot water pool with effective & timely delivery. We have in stores for our clients Heat Pumps that are offered in both standard and customized specifications to meet the bulk requirements of clients. These pumps are widely used to extracts heat energy from air and thus then transfers the heat into water of the swimming pools. Ideal for installing in different types of pools, our range of heat pumps is available in different sizes, specifications. We offer these light weight pumps to our valued clients at industry leading leading rated. In tune with the varied demands of our prestigious clients, we are providing a superior quality range of Hot Water Pools. 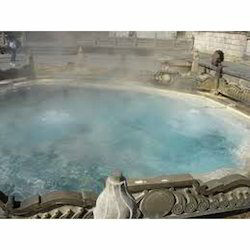 The offered pools are incorporated with heaters or heat pumps that consume electricity or solar power. These pools are engineered by our adroit professionals using high-grade material and advanced technology which is in sync with the latest industrial norms. To maintain their premium quality and flawlessness, we ensure stringent quality check of our products against various predefined parameters.